Coordinate measuring machines (CMMs) are one of the most important parts of any production line. Not only do they monitor quality to ensure that all produced parts match blueprint specifications, they can also provide reverse engineered blueprints from existing parts and fulfill a wide range of other important functions, from monitoring the overall wear on a production line to helping create accurate prototypes. As with any major addition to a production line or change in equipment, it is important to find out what you should be looking for. Metrology is a complex field, and even within the world of tactile probe CMMs there is a huge range of different options. Doing some preliminary research will give you a sense for what is available and what it costs, and when it comes to actually shopping for a used machine, knowing which questions to ask will help you know whether you’re getting a good deal or a bad one. CMMs are specialized pieces of equipment, so when considering which used CMM to buy, it is important to find out what the needs of your production line are. Is a bridge CMM best, or will you need a cantilever model? Does it need to be a tactile probe, or would a laser scanner suit your needs just as well? 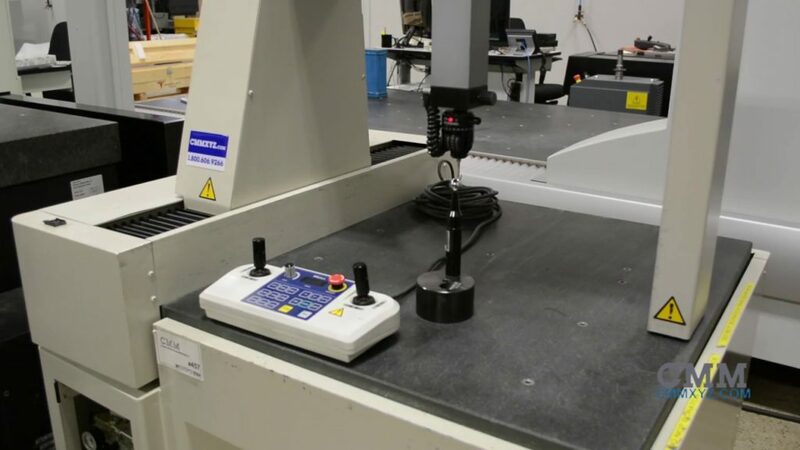 Before you start shopping for a used CMM, make sure you understand exactly what you’re looking for. Buying used equipment is one of the best ways of saving money when setting up a new production line, but purchasing sub-par equipment is never worth it in the long run. This is especially true when it comes to CMMs, because if you buy a used CMM equipment that doesn’t work as it should, you could seriously compromise your quality control. By their very nature, CMMs are sensitive, and changes in temperature and humidity can have a measurable effect on their accuracy. Hiring metrology professionals to install your used CMM once you’ve purchased it is the best way to guarantee that it is positioned for optimal performance. Even if you’ve taken care at every step of the way to ensure the machine you are purchasing is in good condition and has been properly installed, it is still extremely important to make sure it is calibrated by metrology professionals before you start using it. There is no shortage of high quality used CMMs of all kinds on the market today, and with a little research it is possible to find a truly great deal. But it doesn’t pay to take chances with such an important piece of equipment, which is why you should make sure to know what you are buying, purchase it from a trustworthy dealer, and have it professionally installed and calibrated.